It appears something's amiss in Springfield. 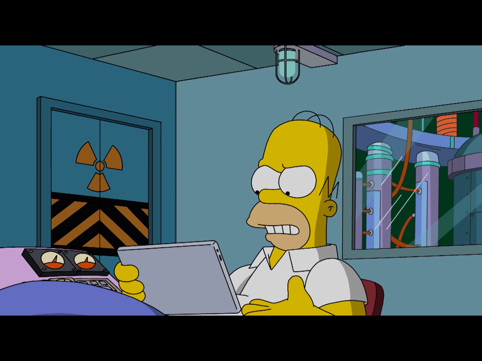 Yesterday, and much to our surprise, EA Mobile released an update for the hit mobile game, The Simpsons: Tapped Out, which we immediately downloaded, of course. Apparently, an untold number of folks did as well, and a select few have run into an unexpected issue where the game won't load. I just bought donuts that I can't use because the game no longer connects. This game hasn't been able to connect to the server since today's update. Even we've experienced lengthy load times, but we're also using hotel Wi-Fi, which is spotty at best. That said, we'll contact EA to see if the company is aware of this, and the potential plans to fix it.